Our world needs us to be awake and active now more than ever. 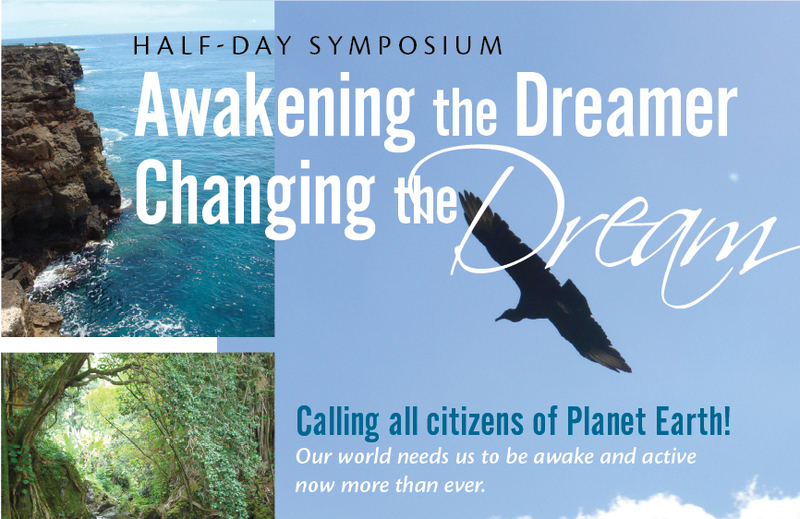 This half-day symposium provides dynamic group interactions, leading-edge information, and inspiring multimedia to empower participants to respond to humanity’s current situation with informed, grounded optimism and clear-headed action plans for the future. Don’t miss this FREE opportunity to feel connected with other change-makers in local and global community and be empowered to help accelerate the emergence of an environmentally sustainable, spiritually fulfilling, and socially just human presence on this planet.